It’s all in the name: These rods are designed for monster fish! Your partner in crime when you want to fish for the monsters in the fresh or salt, but still being able to fit in your suitcase. The 240cm is perfect for casting big lures, like big stickbaits, poppers or crankbaits when fishing from the boat. 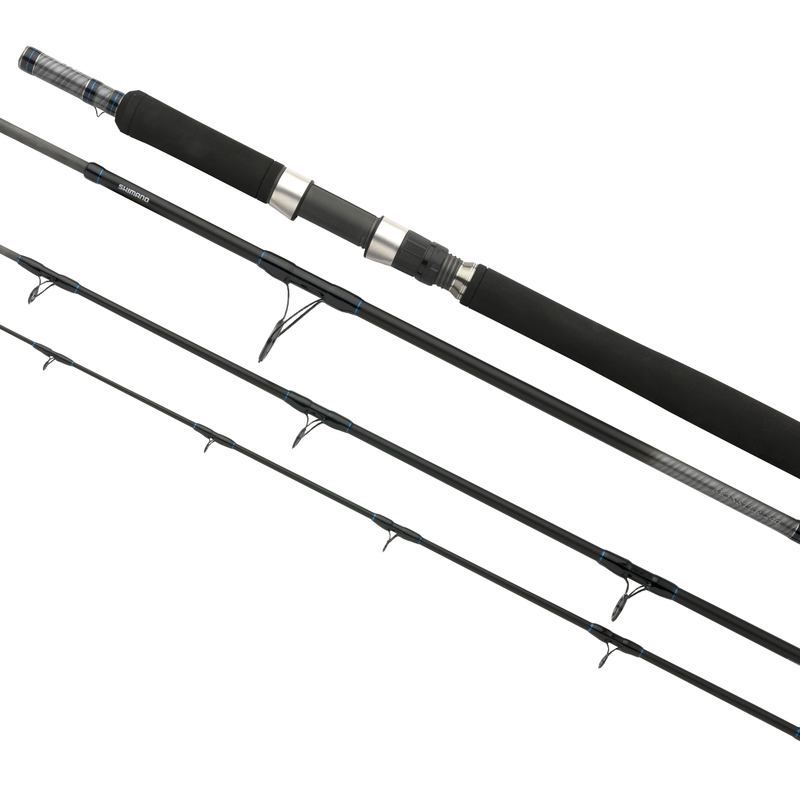 The 315cm version is also great for casting lures from the banks, but also the ultimate travel rod for fishing with e.g. a big chunk of fish when targeting ray or sharks when being on holiday in a tropical country where these monsters are cruising close to the beach. The rods have a full EVA handle and a grip large enough to control the rod very well when fighting a big fish.